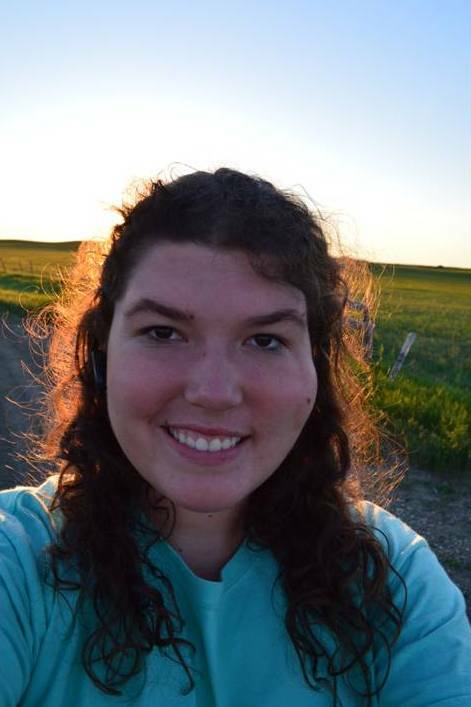 This last weekend a friend from Auburn was supposed to fly up to the Dakotas to visit and see the sights. Due to flight problems they were not able to come, but because I was already half way across the state I still decided to go on as planned. 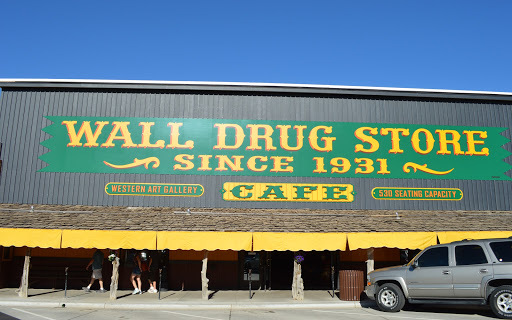 My first stop was in Wall, SD at Wall Drug Store. 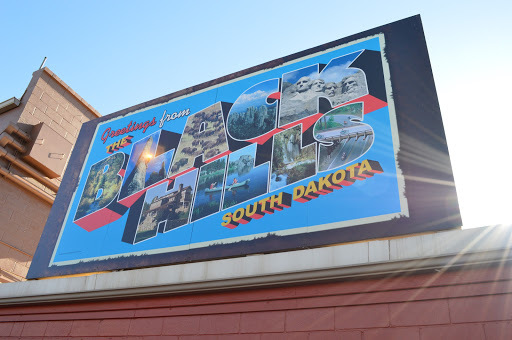 A fun, and free attraction as you get close to the Black Hills. 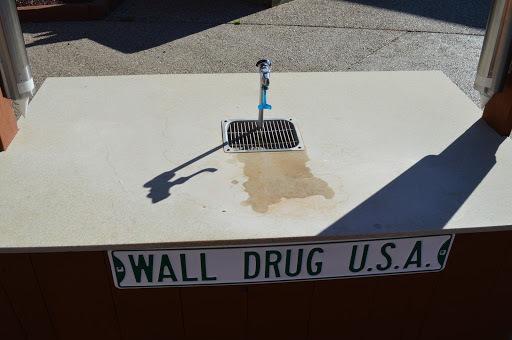 They offer free ice water…why not stop? I left wall and headed toward Mt. Rushmore. I had been previously with my Dad and Brady and loved it so much I wanted to go back. At dusk each day they have a lighting of the monument and a program explaining its importance and a little about the presidents on the mountain. It is definitely worth your time if you can be there at that time. This particular Friday was also Flag Day. It was a beautiful evening and there were a lot of military men and women there and they were all recognized on stage. Saturday I visited Wind Cave National Park. It is the 6th largest cave in the world, 3rd in the United States. It was very different from other caves I have been in. Not many stalactites and stalagmites. I am sure to spelunkers it was something to see. It looked like corrugated cardboard to me. It was very interesting and the $9 tour lasted an hour and a half. Definitely worth the money. And…you get to see buffalo! They are everywhere and if you aren’t careful you might just hit one at night. After seeing Wind Cave I journeyed over into Wyoming and visited Devil’s Tower. I was also able to drive over into Montana. The east side there is not much to see, but it was still pretty. It turned out to be a great weekend trip. It was a wonderful weekend to be out and about seeing the sights of our beautiful country. 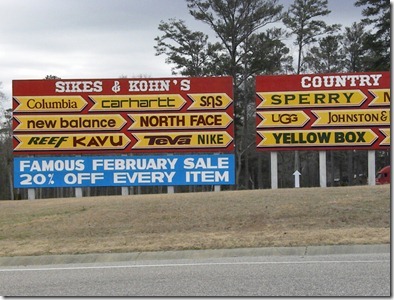 If you have ever traveled South of Montgomery, Alabama on US 231 I am sure you have seen one of the hundreds of Sikes and Kohn signs. 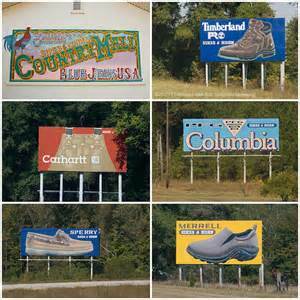 You see these signs for miles and if you aren’t familiar with the store your curiosity is peaked. I remember when I was in 7th grade we were coming back from Florida and I begged my parents to stop there. It wasn’t anything extremely special, especially the prices, but I was able to say I have been there. 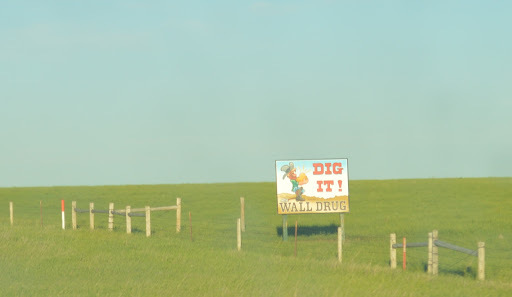 There is a similar marketing scheme in South Dakota used by Wall Drug Store in Wall, SD. For miles you see their signs. I even saw one this weekend in Wyoming! The signs have many slogs and are all shapes and sizes. 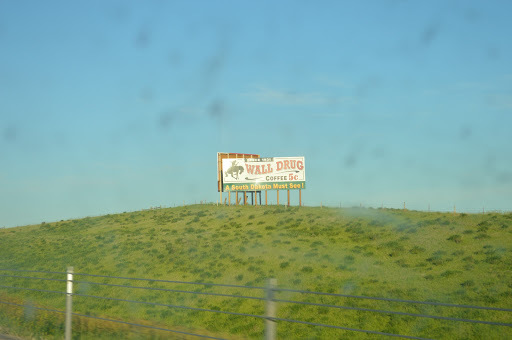 Wall Drug store was started in Wall, SD at the edge of the Badlands back in 1931. At that time there was nothing to the town of Wall and the drug store struggled. 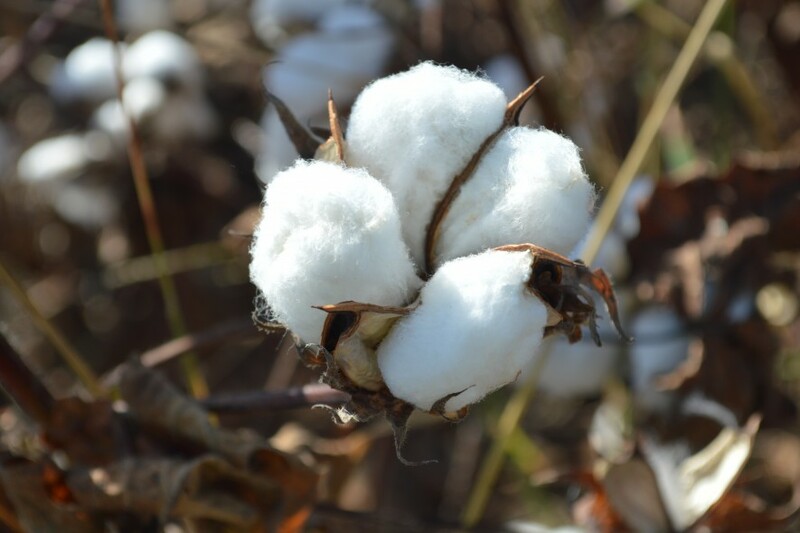 Ted Hustead and his wife Dorthy were worried that they would not be able to stay in business. With Mt. Rushmore due to open in a few years they decided to stick it out. One hot night when Dorthy would not sleep she came up with the idea that they should offer free water to travelers. After all with it being so hot that was the one thing that people would want. The next few days Hustead and some local high school boys made signs to put along the road. Their idea worked, people started getting off the road to stop in Wall to get free ice water. They still offer “ice water” today. It is now more of a tourist trap, but one definitely worth seeing once if you are in the area. 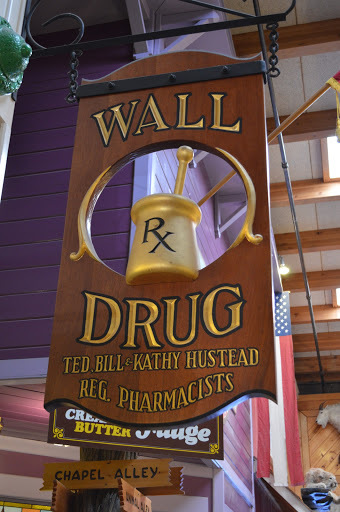 The New York Times has described Wall Drug as “a sprawling tourist attraction of international renown and takes in more than $10 million a year and draws some two million annual visitors to a remote town.” The store is 76,000 square feet! They actually do have a drug store. 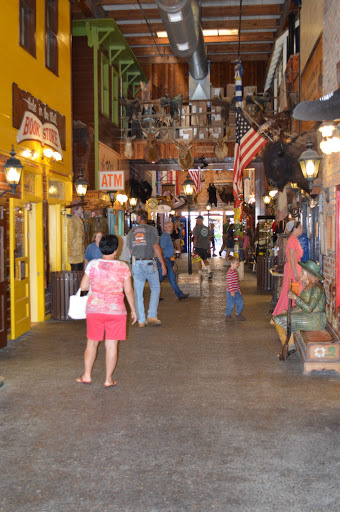 They also have a cafe, play area, and sell souvenirs, camping supplies, fudge, pottery, books, western art, clothes, etc. You name it they have it. They still offer “free ice water” however they do not chip ice off a block like they used to. It comes from a water fountain and you drink it out of paper cone cups. However, it is not ice cold, a major disappointment (especially for a girl from the South who loves her ice water). 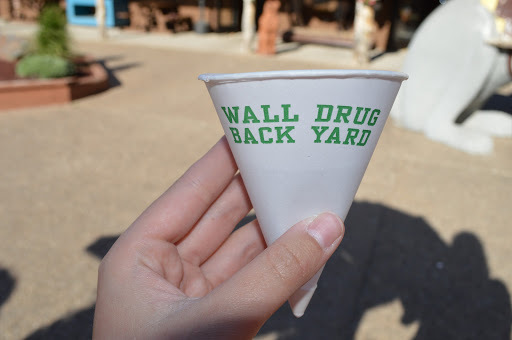 Wall Drug is a place you have to stop at least once, I have now been twice. Still a nice break from traveling and it is a free attraction! There are plenty of photo opps and room for the kids to run around and burn off some bottled energy. If you are on your way to the Black Hills definitely stop.